Have I failed in my bid to save sharks? I’ve been involved in ocean conservation for 16 years and it seems the situation is only getting worse! 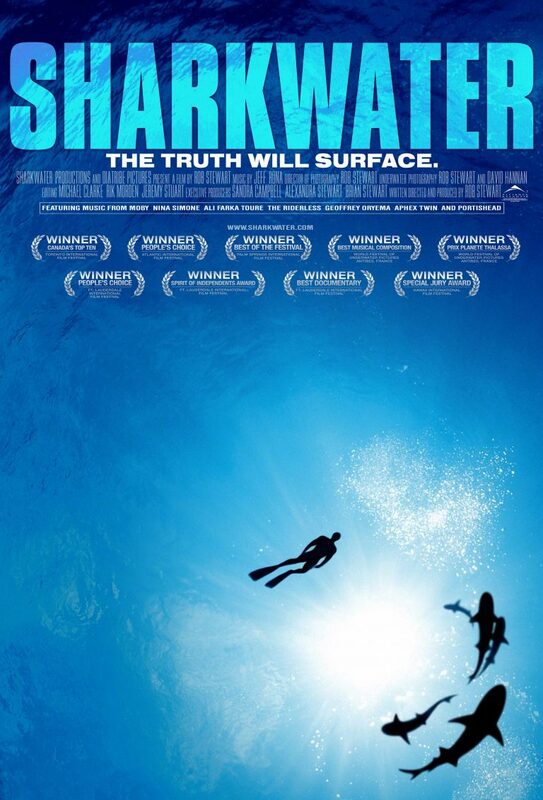 In 2002 I set out to make a film that would bring the plight of sharks to the attention of the public in the hope that if people could see sharks through my eyes and understand how magnificent and important they are, they would fight for their protection. 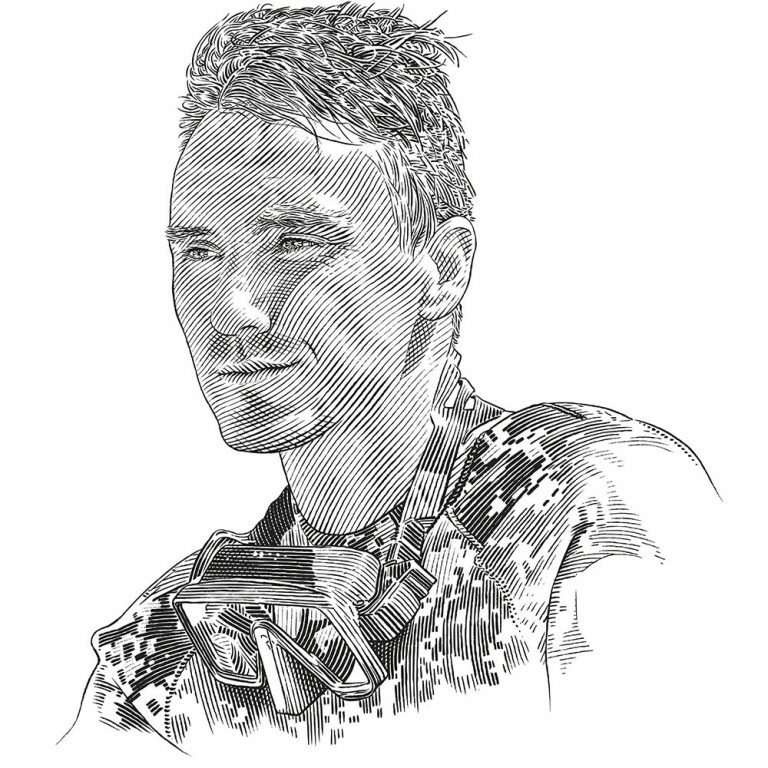 It took four years, entailed travelling to 12 countries and nearly killed me – but Sharkwater brought the issue of shark finning into the spotlight and inspired people to get involved. 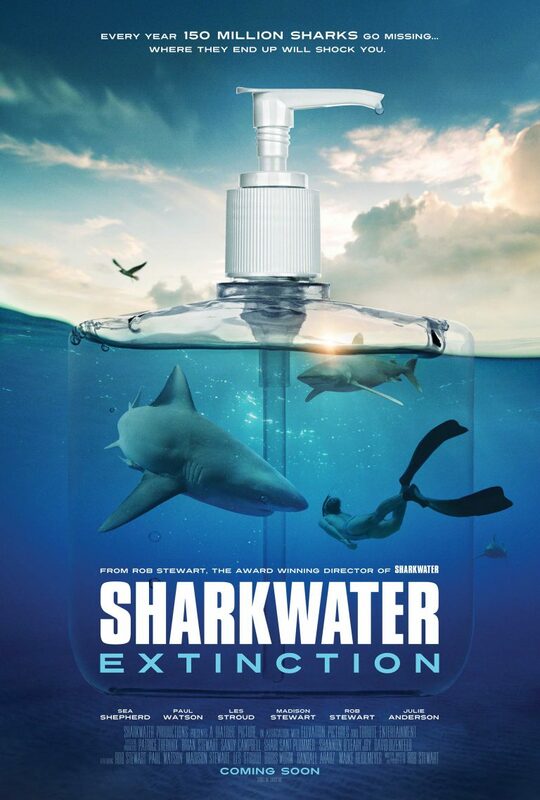 Yet in the 10 years since the film’s release we’ve killed more than a billion sharks, contributing to the greatest wildlife massacre in history. Sure there are some successes to be celebrated: shark finning is banned in most parts of the world, sharks are on endangered species lists, conservation groups have sprung up to fight for sharks’ protection. But today we are still slaughtering the world’s greatest predator not just for its fins, but also for cosmetics, vaccines, pet food, livestock feed, fertiliser and fast food, to name only a few end products. As we set out to make our third film – my second to save sharks – the question why we haven’t solved the shark issue, or any other environmental issue threatening humanity, becomes important. And I think I know the answer. We have focused too much on slowing down our destructive tendencies instead of charting a path towards where we want to be – as a species and a planet – in the future. Even if we achieve our current goals, we will still be living in a degraded world where extinctions, poverty and conflict are rife. When you imagine the future – 50, 100 years from now – what do you see? A technology-driven world? Flying cars? Hopefully! But what about our environment? What has happened to life on earth? If you’re like most people, you’ll see a world in which wildlife is relegated to reserves and parks, tiny vestiges of nature fenced off to protect it from – and for – people. In this future, most of our planet has been converted into a factory that provides for the most populous of the species: humans. From where we are now, even that vision could be considered optimistic. We are, after all, careering towards a world that has no fisheries, no reefs, no rainforests – but it will have 10 billion hungry and thirsty people. It is easy to imagine a world in conflict for food, water, air and space. Rarely do we imagine what our world would look like if we got it right and made this planet amazing, a world that is beautiful for all species. I think that is our problem. When we look to the future we are merely aiming to slow down our destructive juggernauts and scrape by as a species – and in doing so all that we can achieve is a world impoverished for 99% of its people and species. Let’s face it: oil, agriculture, development, capitalism, extraction – the big destructive juggernauts that the conservation movement is fighting to slow down – have created the world we live in and a better quality of life for many. They bring daily benefits. By setting ourselves up against them, ‘activists’ such as myself become radicals and underdogs pitted against society and the most powerful organisations in the world. We are forced to tout pitiful solutions so as to avoid being squashed by the juggernauts we oppose. We are living in an age when we have lost 90% of the big fish, 75% of the forests, 40% of the phytoplankton, 50% of the biodiversity and 90% of the food species; an age when we have built a civilisation by releasing a quadrillion pounds of carbon dioxide into the atmosphere and made the oceans 30% more acidic. At a time like this, solutions such as ‘20% reduction in emissions’, ‘Let’s pollute less!’, ‘Let’s slow down fishing and deforestation and development!’ just won’t cut it. Consider our efforts for sustainability. A fishery that is ‘sustainable’ today would be achieved in a radically damaged ocean that has already lost 90% of its mega fauna. We need more than a fishery that is sustainable; only one that is beneficial or regenerative will do. The unfortunate reality – and one that seems hopelessly apparent to the youth of today – is that the ‘solutions’ being touted are too little, too late. All they can do is slow humanity’s arrival at a toxic and impoverished world of deficiencies, extinctions and conflict. But what if we set a higher standard for ourselves and our devices: industry, capitalism and civilisation? What if we imagined a world that is beautiful for all species and fought for it instead of fighting against juggernauts? Could we unleash humanity’s genius and leapfrog over our environmental battles in the process? We are smart enough, ambitious enough, powerful enough and – for the first time in our history – connected enough to not just settle for a degraded world in which the vast majority of humans scrape by, but to create a world that’s incredible. We can bring nature back, we can re-wild the planet – and we can do it through a project I call Wildify. What is the best carbon sequestration device ever invented? What processes pollution, filters and stores toxins, regulates our climate, provides food for everyone and everything? What creates fresh water, topsoil? Life! Life would pull vast amounts of carbon from the atmosphere and oceans to build itself and in doing so would address the crises of ocean acidification and climate change. Life creates ecosystems and they regulate climate, process water and waste and provide food for us and other life. In a Wildified world there should be enough plants and food growing everywhere to make hunger a foreign concept. Can you imagine if we put the forests back? What if we restored life to the oceans and waterways and invited it into our cities? Could humanity shift from destroying this planet to regenerating it? I have enough faith in humanity to know that we don’t need to live like a cancer on earth, but can figure out how our existence on it can make it a better place. Only when we can imagine this better world can we chart a path towards it. Until then, I believe we’re heading towards a technologically advanced but ecologically impoverished world of rats and ’roaches, and 10 billion-plus people fighting over who gets to eat them. But a world that is amazing for all species is exciting enough to motivate the best in us to achieve it. It is inspiring enough to dedicate my life to – and I think would be for many more people who fail to be inspired by the ‘conservation’ paradigm. 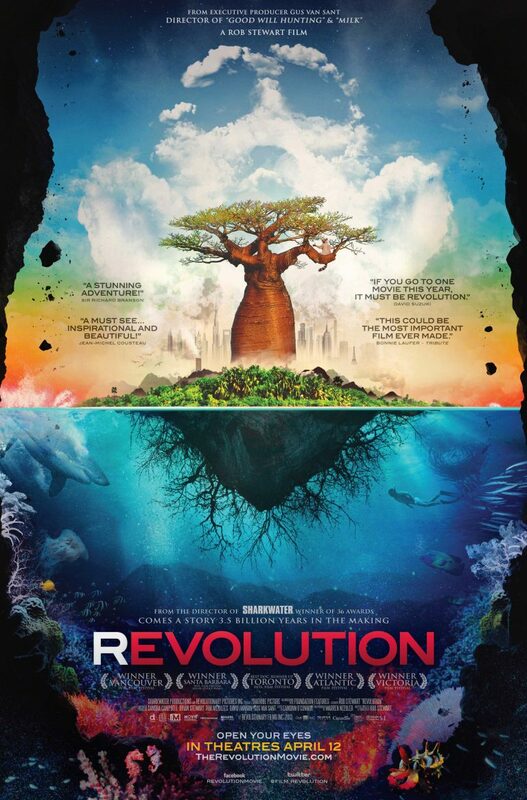 Now as we make our third film, currently titled Sharkwater Extinction, I am a different person, no longer a conservationist. Instead, I believe people need to know that they have been smearing shark on their faces, feeding shark to their pets and are eating shark without knowing it. They need to know because information changes the world, engages our morals and our humanity. With information, we as a species make better decisions. I hope that this film will not only launch a campaign called #sharkfree – to rid our daily lives of shark products – but will also put forward a view of the future that’s so exciting that it will invoke genius to help achieve it. And that’s going to take some imagination.